Facebook Free mode has been available for over a year and it's now been used by thousands of people. Many people has being wondering why photos don't display on free mode well that's how it been customized by the network providers. We also sensed that every free thing don't work 100% accurate so if you so much wish to see photos you will have to purchase data or switch to data mode if you already have data. The only networks that are currently freebasics supported are Airtel and 9mobile. As we all know, Facebook free mode doesn't show pictures except you go on Data Mode. 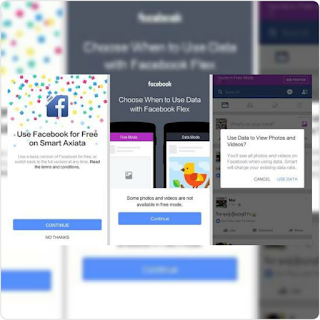 No doubt the Facebook free mode has been helpful to many Facebook users that can afford to purchase data, so with the free mode you will be entitled to use it for free but the only problem is that the pictures/photos will not display unless you switch to data mode like we said earlier. Free Facebook mode is a free basic Facebook that allows you to surf for free on Facebook or with their web browser or Facebook app. You can browse Facebook for free anytime, with no data charges when using: free.facebook.com. So in this post we are going to show you a simple trick on how to see photos while using Facebook free mode so let's get started! Supported Sim without data Airtel and 9mobile. We'll be making use of Facebook Lite app for this tutorial as it's working perfectly well. First, download Facebook Lite from Google Playstore Here if you don't have it installed on your phone. Then go to your phone Settings » locate App » scroll down to Facebook lite » tap it, then clear the data of the fb lite. Don't forget that 9mobile and airtel network is also working for free with telegram, you can as well check it out.